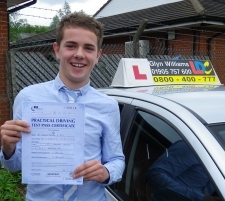 Driver training from Learner to Advanced level . 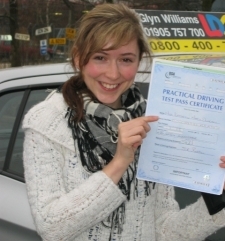 Registered by Driver & Vehicle Standards Agency (DVSA) to provide the PassPlus scheme . Operating throughout most Worcestershire areas. 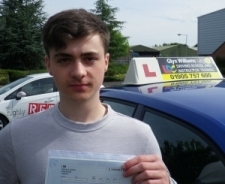 [Parents comment] “He’s really enjoying driving, I’m so impressed with how you have taught him. 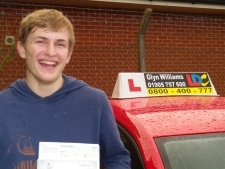 “I would like to thank Glyn Williams for helping me to pass my driving test. 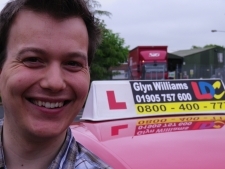 At first I was rather nervous behind the wheel however Glyn’s calming influence and witty humour soon put me at ease. Glyn’s lessons were always very well structured and tailored to ensure I was always processing however never out of my depth. The LDC handbook Glyn provided meant that learning could occur not only during lessons but also at home. Before starting with Glyn I had a few bad habits and a fear of roundabouts. However throughout the course these bad habits were ironed out whilst my confidence on the road grew. 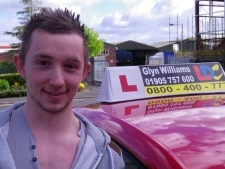 As an instructor Glyn was always very informative and very reliable. 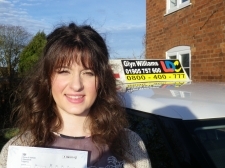 “Firstly, thanks so much to Glyn for helping me to pass my test first time! He’s a great driving instructor, he helped me break bad habits that I picked up in the early stages of driving, he’s got good methods of explaining all aspects of the driving course, he helped me overcome my fear of hill starts, and most importantly he’s a very thorough instructor – which is certainly what you want from a driving instructor. The semi-intensive course was such a good choice as well, it meant that I could pass my test quickly and reach my goal of passing my test before I go to university. 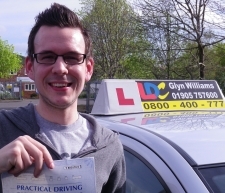 “Glyn was a great driving instructor, and made the learning process easier than I had imagined. I also appreciated how the learning process was not just about the test requirements but also on how one would drive in a day to day manner. 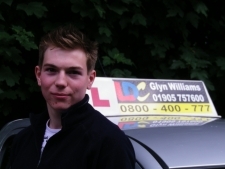 I would recommend Glyn to any of my friends wishing to find a driving instructor”. 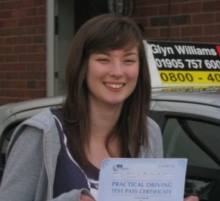 “Glyn is a fantastic driving instructor, he gave me so much confidence and was always calm, encouraging and patient through out the entire course. I enjoyed all lessons especially because at the end of every session I walked away satisfied that I had learnt to become a better driver than the one before it. 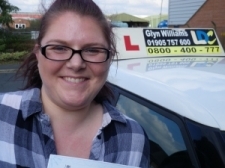 “After having lessons from a different instructor and getting no where for over 3 months I decided to change instructors and go for a more intensive driving course. I came across Glyn’s details and contacted him and from initial contact, Glyn had me back on the road within a couple of weeks. I have been having 2 lessons a week for 2 hours at a time. 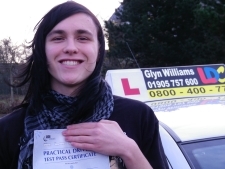 Glyn gave me the confidence to believe I actually could pass my test. 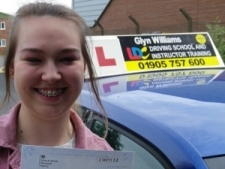 “The course was great – I wanted to pass really quickly so I could be driving by September and it (and Glyn) made it possible. I loved how thorough it was going through every stage and not teaching you to pass a test but to actually drive. 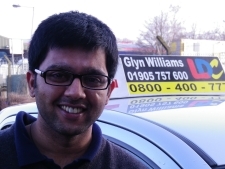 Glyn was really good and helped me to get rid of little bad habits as soon as they occurred. Now I feel like I am a competent driver and have a good technique for the future. 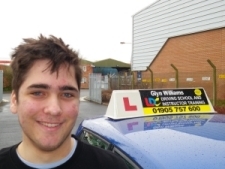 “Having trained with other instructors before, it became clear to me that Glyn’s was able to focus on the problems holding my driving back and providing targeted instruction. Glyn’s considered and patient – yet encouraging – approach was instrumental for helping me address the issues that had been permanently stopping my ability to advance to a test ready stage. I have no doubt that with other instructors such issues would have persisted, and on test day block my chances of passing. 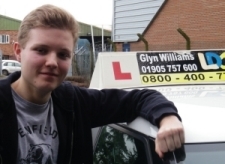 “I was looking to pass my driving test in as little time as possible that’s when I came across Glyn’s semi intensive courses. I discussed the course with Glyn and we came to the conclusion that 28hr of lessons would be sufficient and true to his word, after 28hr of lessons I had passed my practical test first time. He has a great way of tracking your progress to identify the areas needing improvement. He makes the lessons fun and also comes up with his own quirky ways of you remembering things that I still remember now. “From the very first lesson that I had with Glyn he made sure that each individual lesson entailed areas that I wanted to cover or areas that I felt less comfortable approaching. He was aware of how I was able to learn best and how to explain things in a way that helped me to understand. 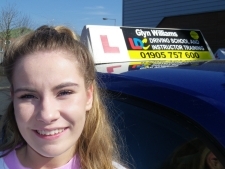 I started my lessons with little confidence in my ability to drive, however, during my lessons Glyn had helped me to build my confidence and create an atmosphere that helped me to relax and learn. 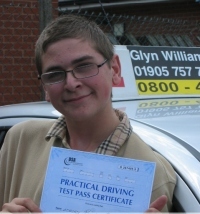 “Hi Glyn, I would like to thank you for helping me pass my driving test! 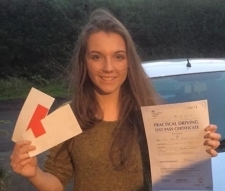 (with only 3 minors, first attempt). 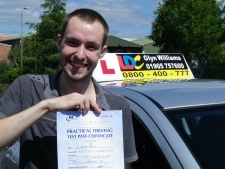 Glyn is a very patient, calm and friendly driving instructor and his methods of driving have taught me to be a better and safer driver. 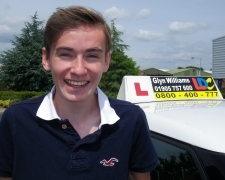 “Glyn as a great help to me, especially when first starting the lessons. He put me at ease with his very thorough instructions and was always calm in tenser situations on the road. This really helped boost my confidence that I needed when driving and I could not have had a better instructor. 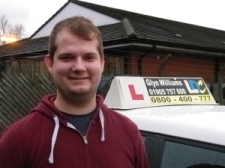 “I have just passed my driving test thanks to Glyn’s calm and patient methods of teaching. I felt that the lessons were really well planned out. Using the LDC system, we crossing off learning steps as we went along which really helped me focus on parts that I perhaps struggled with. 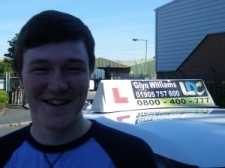 “I have just passed my driving test thanks to the focused and clear instruction from Glyn. 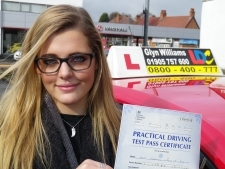 The beauty of learning with Glyn is that he teaches you to be a safe and considerate motorist, not simply to pass a test. 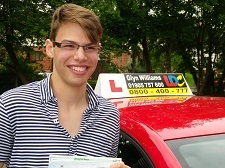 As a result, I am a more confident and alert driver because of Glyn’s tuition. 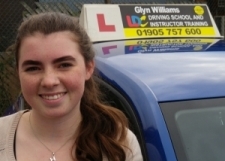 [Passed first time] “I really enjoyed my lessons with Glyn. 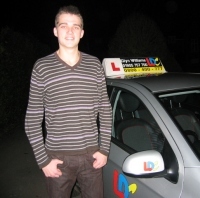 He was calm and well informed and I felt very safe, whilst being challenged to make progress with every lesson in a way that built up my confidence ready for the test and for driving afterwards. 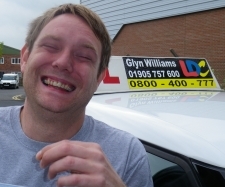 “I found Glyn a humerous instructor who made learning to drive fun. 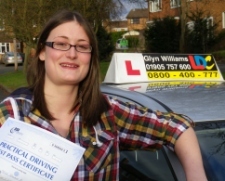 I felt very confident and was thrilled to pass first time. The Driving Skills Workbook and DVD was very helpful to apply the theory to practice. 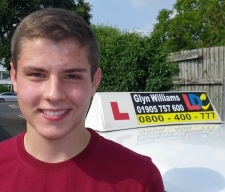 I would highly recommend Glyn”. 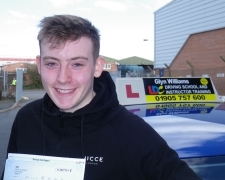 [Parents comment] “I was very confident in Glyn’s ability to teach Josh safely and thoroughly, but also to prepare him for a life ahead on very busy road independantly and with confidence. As parents this was the best thing that Glyn could do for us. 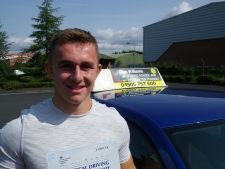 Josh also had a 2 hr motorway driving lesson with Glyn after passing his test which will stand him in good stead. We would highly recommend him”. 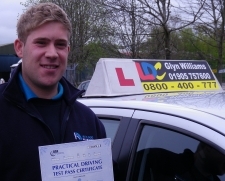 “I passed my driving test first time thanks to Glyn Williams and LDC. It only took 4 months to prepare for the test thanks to the structured and well prepared course. The LDC book and DVD were extremely useful for reading up on future topics which helped a load. 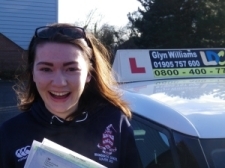 “Learning to drive did not come naturally to me, but learning with Glyn helped me overcome my apprehension and has led to me enjoying driving! 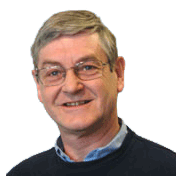 Glyn is a calm, confident and encouraging instructor who gives very specific and constructive advice to enable you to improve. He encourages you to take a very proactive role as a student, particularly by using the LDC book to reflect upon lessons and identify areas for improvement. 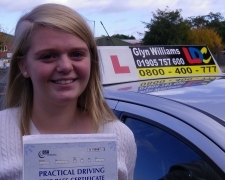 “Glyn was a great instructor he put me at ease when I was nervous. He taught me to drive not just pass my test. 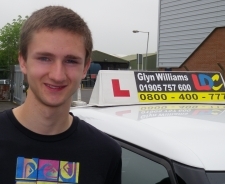 Looking forward to having a motorway driving lesson with Glyn next. 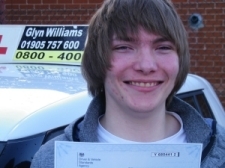 “After passing my driving test today with just three minors, I owe a huge debt of gratitude to Glyn. Not only did he help me pass my test today, but with his thorough method I believe he has taught me to become a better and safer driver. 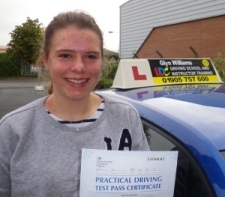 “Thank you so much for helping me pass my test! 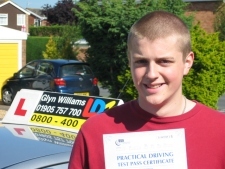 The materials I used were so helpful to allow me to pass my theory test as easily and quickly as possible, the DVD I used provided me with practise quizzes and built my confidence in the mock tests to prepare myself. The lessons were always constructive and provided support where I needed it but I enjoyed still being able to be independent through making my own decisions. My book encouraged me to set new goals and so I felt reassured going into my practical test. The whole experience was made to be as enjoyable as possible so thank you for being such a patient and friendly instructor. I’m so excited to have passed!” [First time!]. [Passed first time!] 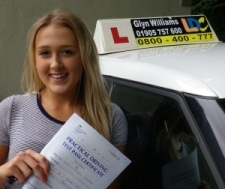 “Glyn is a fantastic teacher who is dedicated and exceptionally knowledgeable. He always finds a way to explain things if you don’t understand it and is very patient if you don’t get it at first. 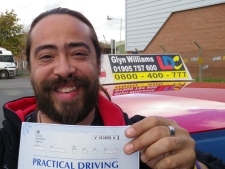 Glyn has helped boost my confidence on the road both in my own ability to drive and make decisions; he also showed me that I was ready for the test even though I was very nervous. Throughout the time he taught me, we followed a structured curriculum which allowed me to grasp one technique at a time and if I needed extra time on a topic, we would go over it again and again until I got it right. 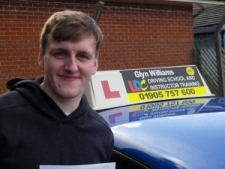 “Passed first time, many thanks Glyn. [Passed first time!] 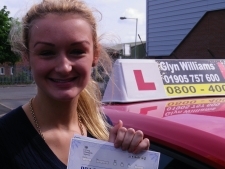 “Glyn was a very good and professional instructor. I was very nervous coming into this and with the help from Glyn I managed to build up the confidence in myself to drive. He made me feel at ease every time I had a lesson and knew how to explain situations to me so I could understand them. I think the Driving Skills Workbook is a great resource to use when learning to drive; I found it very helpful. Once I finished my lessons I found myself reading up on the skills that I will be learning in the next lesson so I had some understanding for the next lesson. Especially with the manoeuvres I could constantly read up on them to check that I still remembered what to do. Also taking notes of what I did well and what I wanted to learn in the next lesson was very useful and it helped Glyn understand how I felt the lessons were going and looking at the progress. 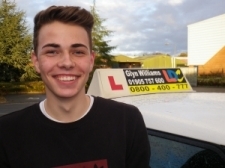 “Glyn is an enthusiastic, friendly and well organised driving instructor. My lessons were always planned and well structured which really helped me to learn all of the material in the most efficient way. 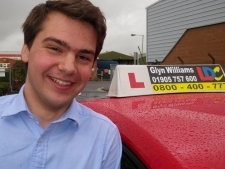 I found the resources provided by Glyn really useful which is not something you get from most driving instructors! [Passed at first attempt] “Hi it’s Jon, thought I’d thank you for having me and I appreciate your lessons. I thought the structure of the course was well planned out to progress from one skill to another easily and smoothly and it helped that you knew beforehand what you were doing too. “Doing the 2 week Test Booster course with Glyn was a thoroughly enjoyable experience. His calm and encouraging presence helped to dramatically boost my confidence in driving after an unsuccessful first attempt at the test last year [with another Instructor]. 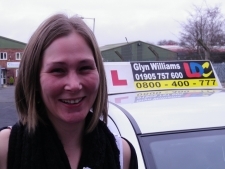 “I was very happy to have found Glyn. He guided me through a semi-intensive driving course lasting about two weeks and I passed first time! Right from the beginning he was calm, helpful and friendly. We worked through a number of four hour driving sessions, which Glyn broke into concise, informative lessons, guided by the helpful LDC Driving Skills Workbook. I always felt like I was learning a lot and Glyn was always checking that I was comfortable with the pace of lesson. We would cover a number of driving topics in each session, guided by Glyn but with my full input. Often I would ask to consolidate a certain manoeuvre or road skill and Glyn would happily adjust the lesson plan to help with my weaker areas of driving. 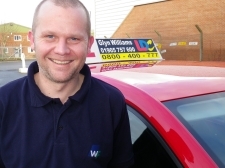 Glyn has a fantastic knowledge of the Worcester, Droitwich and surrounding area, which really helped to give me a diverse experience of the road, we were always tackling new road types and junctions. 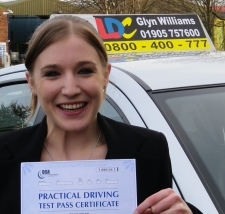 Glyn did not train me on specific test routes but gave me a wide understanding of driving, so when on test I felt confident to safely deal with any road situation that presented itself. 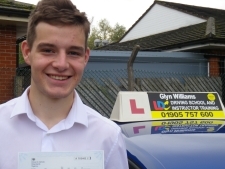 “I thoroughly enjoyed learning to drive with Glyn because he was very laid back and I felt very relaxed in the car with him. Whenever I made a mistake he would never get angry with me and we would just both laugh it off. 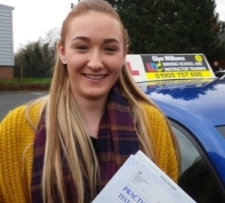 “Glyn has always been patient with me whilst teaching me to drive; I didn’t always get things the first time and the learning process took a while. Glyn was always supportive and professional, whilst pushing me to progress in the lessons. Reviewing progress after each lesson and planning the next always helped me to know where I was up to with learning, and set out clear goals for the process. 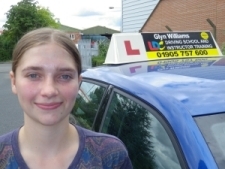 “I was recommended to Glyn by my cousin who passed first time. Then I decided to do an intensive course in order to gain my drivers license during university. I found this course very intensive (as the name suggests) to begin with, as I drove for two hours everyday, however Glyn and I decided that we should reduce the time and spread the hours out more, Glyn was very accommodative of this. I also decided that I wanted to be insured on my dads car to build my time on the road up, Glyn helped by sitting in the car and advising him what to say, which was very informative. I began learning in the summer but had to have a break until Christmas as I was away at uni, and this somehow gave me much more confidence in driving. 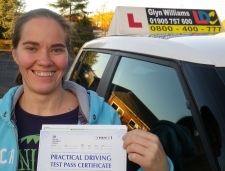 “I am happy I have found Glyn to teach me and give me confidence to drive on my own. After trying other schools I needed to turn to him to do the proper job. His calm professionalism is unbeatable. With other instructor I dreaded the days I had lessons. Since I have taken lessons with Glyn I enjoyed them and looked forward to the following one. 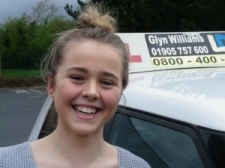 “Glyn is a superb driving instructor. At every stage he has given me great advice and was very easy to communicate with. Each lesson was well structured and carefully planned. I personally did one and a half hour lessons, either once or twice a week. This worked perfectly for me to fit in with my home and work life. I was very impressed with the LDC Driving Skills Workbook that I purchased. It was easy to understand from start to finish. It definitely helped me to learn what I needed to know before I practiced and perfected each skill. 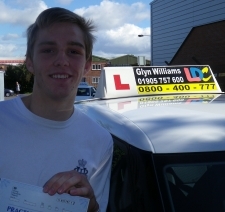 With every lesson with Glyn I could feel a progression and subsequently I passed first time. 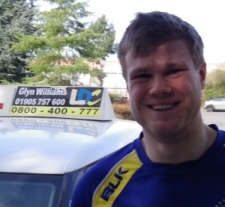 “Glyn Williams is a great driving instructor, he takes time to put you at ease whether its’ your first lesson or the one before your test. He is a cool, calm, collected man which is very useful if you’re nervous when you get in a car. 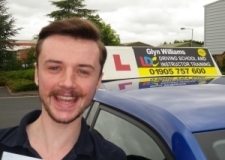 I have had previous instructors who have been quite up-tight and stressful which made the whole experience unpleasant and made it quite difficult to concentrate while you’re in a car, however Glyn puts you at ease even before you’re in a car – if I could go back to my first lesson I would be 100% guaranteed to go with him. If I had done so, I would have passed a long time ago. “I was very determined to drive as soon as I turned 17. 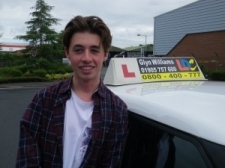 Although Glyn knew that, he taught me that I had to be patient in order to be a good and safe driver. I took the intensive course, and completed all my lessons in one month and passed a month after my birthday at my first attempt. Sophie – and the ‘gang’! Glyn was very encouraging and calming, which made me feel a lot more confident and comfortable on the road. The methods he used were perfect for me and I am so grateful for how much he has taught me. 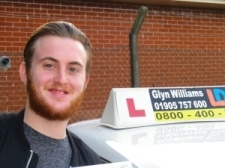 “Personally I never really wanted to learn to drive; it always seemed like an impossible skill to master, until I met Glyn. His passion for driving rubs off on you. 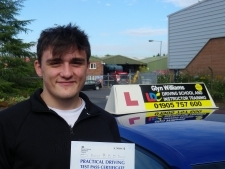 I now enjoy driving and enjoyed learning thanks to Glyn’s brilliant way of teaching. He’s methodical, understanding, his tips are fantastic and of course he’s patient. 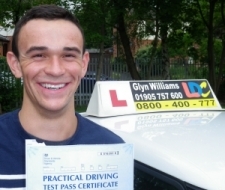 When you are taught by Glyn you’ll surpass the driving ability which is required for your test, so when you take your test you know you can be confident! The LDC Materials (Driving Skills Workbook and DVD) are a worthy investment. If you are ever in doubt you can have a read in your workbook or if it’s something a bit more complicated like manoeuvres then you can use the DVD. Also if you do some revision before your next lesson then it will mean more time on the road! Passed at my first attempt! “Glyn was calm and encouraging, and knew exactly what he was doing, which made me feel comfortable on the road. I was really impressed with his teaching, and have already recommended him to a number of people. 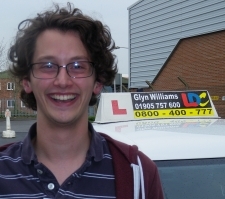 “I would highly recommend Glyn to anyone as a driving instructor. He is a fantastic teacher with a lot of experience and helpful tips, a very supportive and patient man. 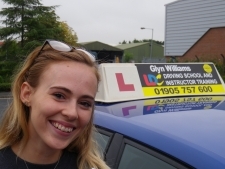 Before my driving with Glyn, I took lessons with 2 instructors but I felt I was not getting anywhere because there was no progress in my driving. 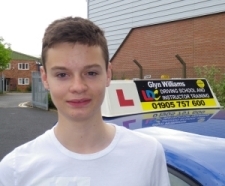 “Learning to drive with Glyn was undoubtedly a brilliant choice for learning to drive. Glyn would say that “yes we are in a little red fire truck, but we’re not racing to a fire”. 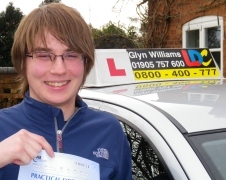 Being a racy young lad, Glyn taught me to slow down and yet get there quicker, especially at roundabouts. Glyn never stopped saying “give it the beans” or “make hay while the sun shines”, thus not getting to drive with excessive speed but to crack on with it. “I felt that the course was well laid out and focused on the main aspects well. 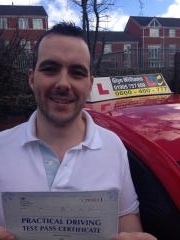 As for the progression of the course I felt that it fitted in with my growing abilities as a driver and that there was never a massive jump up in the manoeuvres, I was never rushed into doing anything that I wasn’t fully confident in doing. 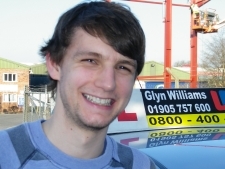 “Despite being a little reluctant to start driving, Glyn’s friendly and enthusiastic manner ensured that I overcame my cynicism and enjoyed driving. He is patient and easy going; just the right approach, in my opinion. I was particularly impressed with Glyn’s punctuality; he has never arrived late at the start of a lesson and is often early. The lessons themselves are of a good length, allowing you to cover a number of skills and ensuring that they are practiced effectively. New topics were introduced thoroughly and clearly, and extra information regarding the mechanics of the car helped to better understand driving. 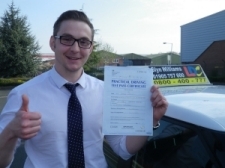 “I am very pleased with the outcome of the driving experience. Glyn takes everything in consideration since I drove in the U.S., and is very patient. 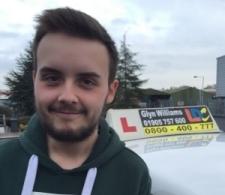 Glyn makes you feel confident about driving and will help you with everything and any weaknesses that you might have and help you to improve them. 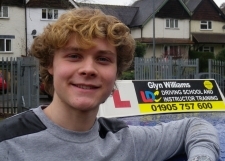 Overall Glyn is a great instructor and I would recommend him to anyone that is learning to drive. Thanks for the great experience”. 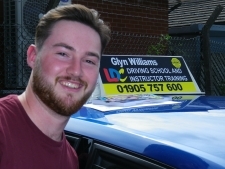 “Glyn is a well mannered, highly intelligent, very patient gent who is 100% focused on his job and getting his students safely on the road; he talks driving and you do driving! 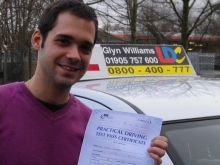 Even though I had driven before many years ago I found following the LDC driving skills course very thorough and clear to understand and with Glyn’s help and guidance you can’t go wrong – I passed my first test with Glyn. You don’t stick to a set course of action either. Of course you’ll cover all you need to learn but if you’re feeling uncomfortable or weak in certain areas you can focus on those points more rather than keep repeating things you are comfortable with. He lets you choose what you want to do in your lessons until you’re comfortable and happy with your own progress so you don’t feel so stressed. “The perfect mentor, Glyn combines a friendly atmosphere with a very well structured course, leaving you as the driver in no doubt as to the course of action to take through both improved confidence and skill. 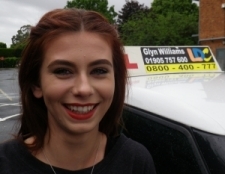 “Glyn is the perfect instructor to learn to drive with, his calm, humorous and intelligent manner suited my personality perfectly. 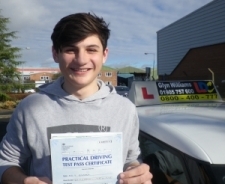 His skilled guidance and persistence helped me to learn to drive in 18 lessons, and I now feel I am a confident, informed and progressed driver. The LDC system really helped me to analyse the situations thoroughly, it enabled me to reflect on the lessons and also aided my theory and questions I was unsure about. 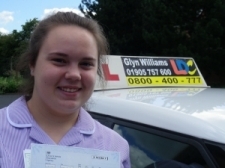 “I was a nervous student and I struggled with test pressure but Glyn was excellent at helping me through that. He is very good at understanding his students I think, and he is very patient which is what I needed. I have a technical job and as such I’m the sort of person who likes to understand the mechanics and theory behind everything. I have had instructors in the past who would tell me “do it this way because that’s how its done”. Glyn is very knowledgeable and was able to explain everything to me which helped me understand how to drive the car such that the mechanics of driving became second nature. 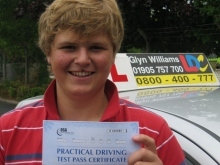 “I felt that Glyn created a calm environment throughout the driving lessons, and with the books step by step guide, helped thoroughly explain the key points to what is needed not only to pass the test but to become a good driver in the long run. The LDC book was a great addition to the lessons as it helped structure the lessons and create talking points, minimising time so I could get driving asap. 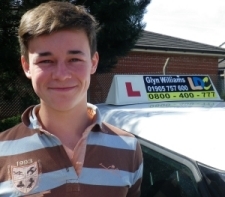 Glyn’s perception and experience helped me to feel safe and motivated during lessons, and his understanding of a learner drivers situation helped to ensure progress was made consistently when I stepped into the driving seat. 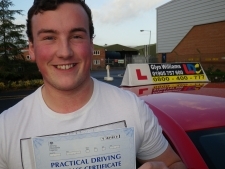 Glyn is not only a driving instructor, he delegated and helped me initiate and look for the right answer to problems when they occurred enabling me to advance my driving ability further, stepping-in only in situations which required his immediate input. 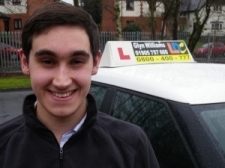 “As someone who has never driven before, the thought of learning to drive was very daunting. Any worries I had disappeared the moment I met Glyn to organise a lesson package suitable to me around my erratic work schedule. 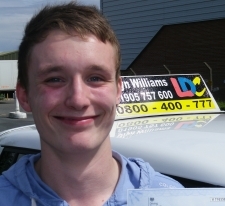 “I recently utilised the LDC driving course under Glyn Williams as it appealed to me more than using a generic driving scheme. There is little time pressure with no rush to complete tasks and no set amount of time before tests, that’s’ purely down to you putting you under no added pressure. LDC’s biggest strength and ultimately the reason why I chose LDC is it’s structure, ensuring all road skills and manoeuvres are covered physically in a complementary order to a required level, as well as being understood mentally with the aid of the LDC driving skills manual. I found this a vital feature of the course as it prevented me from potentially being a hazard to others relieving me of a fair amount of stress. When I had my first session, like many others, I was nervous as I had never driven on the road with others before. 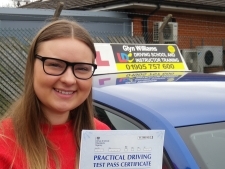 Nervous was an understatement, but nevertheless I was safe, the scheme ensure highly skilled and experienced instructors like Glyn Williams are employed, teaching and helping you every step of the way prepared to intervene at any point deemed necessary. 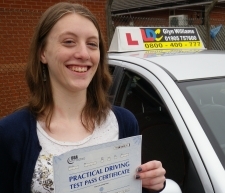 Soon as my confidence grew and with Glyn’s patience and help I began to grasp the skills I required to become a safe driver. In a relatively short space of time I had covered the course material and had passed my theory so began honing my skills in preparation for the dreaded driving test! Which, being assured by Glyn, I would not have been entered into if he did not believe I could pass. Glyn arrived on that day to pick me up to ensure I had some last minute driving and to run through the ‘show me tell me’ questions to calm my nerves and focus me. Though the nerves soon returned as my examiner entered the car, the skills Glyn helped me to acquire stuck enabling me to pass first attempt! “I am glad I chose LDC to learn with; my brother and I have both been through the system and I really liked it. Glyn’s patience and expert guidance, along with his good sense of humour led me through the process. I thoroughly enjoyed our lessons and now feel confident on the road by myself. “Before starting with Glyn, I had only ever driven a car once and the progress that has been made with him in a relatively short space of time is incredible. The LDC system that Glyn uses is very good and has a good lesson by lesson plan via book or DVD to let you know what is coming up in the lesson. 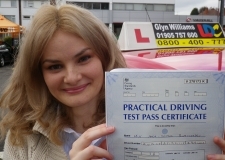 Glyn makes you a very confident driver and is very good at helping you correct mistakes that you make in your driving. 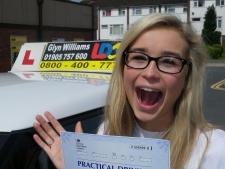 I would highly recommend using Glyn as a driving instructor.” Passed 1st attempt! “Pedantic and demanding… but a perfectionist is how I would describe Glyn Williams. 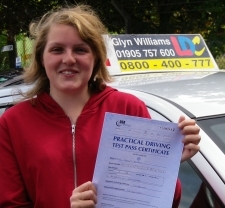 Having already had a few driving lessons with a previous instructor, I was booked onto a Mid-Way Pass course, where I had nine two hour lessons with Glyn before taking the practical driving test. During these lessons I was taught how to become a good, and more importantly, a safe driver, and this has set me up for driving on the road in the future. What I liked about the course was the way in which it was structured: key elements such as the manoeuvres, driving on dual carriageways and emergency stops were addressed during different lessons, and I was also provided with an accompanying CD for my laptop, which reinforced what Glyn taught me, and which was especially useful when preparing for the Theory exam. 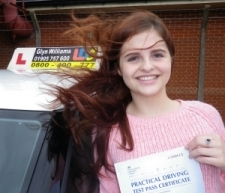 “Learning to drive with Glyn was a very quick and enjoyable process. The LD System was very helpful and effective because you already knew what to do before actually doing it in the car due to the book. Glyn is very patient and willing to help in any way he can. He taught me from the start up to taking my test which I passed first time. Thank you for teaching me Glyn. I enjoyed it more than I expected! 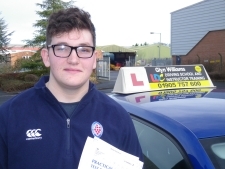 “I had previously had some driving lessons in Cardiff with another LDC instructor, but transferred to Glyn (LDC Worcester) shortly after I started at Worcester University. This meant that I had to get used to a different instructor and a different car, but Glyn helped make this a smooth transition. “Thank you so very much for all your help, support and patience Glyn, I’m chuffed to bits. 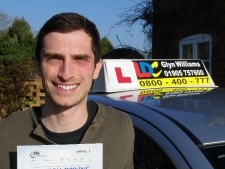 I took the semi-intensive, LDC driving course which itself is very comprehensive and well structured, however, without Glyn’s knowledge, experience and patience I feel it would have been a lot more difficult. On a couple of occasions (usually during manoeuvres) I found myself getting very upset and flustered when things weren’t going ‘right’ and Glyn was very supportive and patient with me. 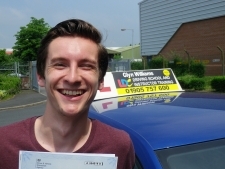 Each lesson was carefully thought about & planned and I felt that Glyn personalised the lessons to meet my needs and ultimately pass my driving test. 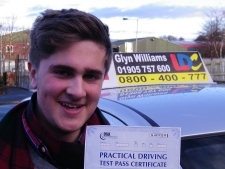 I am hoping to take my Pass Plus with Glyn very soon and I recommend Glyn to anyone who wants to learn to drive. “LDC is a great company because the resources they give you: LDC Driving Skills DVD, Driving Skills Workbook, Theory Test Complete DVD and workbook and Hazard Perception Test Extra. All these resources help and get you prepared in advance whether it being your theory test or your practical test. “From day one, Glyn took me under his wing and gave me confidence to believe in myself. 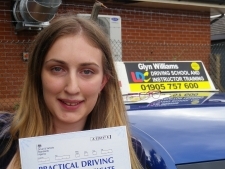 I conquered my doubts and fears, and my nervousness of a test situation with Glyn’s quiet and confident instruction backed up by a solid theory instruction. I would recommend him as a wonderful instructor if you are finding driving is not as straight-forward as you thought. 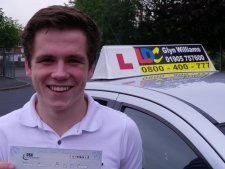 My advice is, don’t give up, give Glyn a try, well worth it! I am now a confident and competent driver who feels that having passed my driving test I can conquer the world! 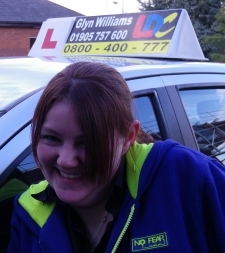 “I really enjoyed my experience with Glyn on the LDC course. I felt the system was very beneficial with the book and DVD being great help, especially in the early stages of learning to drive. 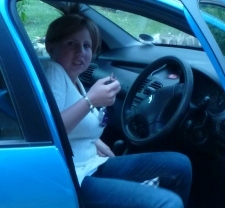 It gave me more confidence with my driving because I felt I already knew the basic controls and was aware of other aspects of driving before even getting in the car. From there, I was already at a head start from the book, and lesson by lesson we covered the topics I had looked through before the lesson so that I wasn’t completely unaware of what to expect and it also meant the stages of learning to drive were broken up into different sections, rather than trying to learn everything at once. 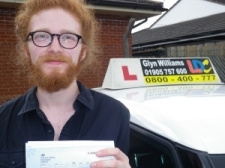 “I have found it very difficult to learn to drive as my nature is somewhat scatty at best, but Glyn has got me through my test. He provides friendly, structured and enjoyable lessons. However, he is a perfectionist and expects the best from his pupils; not that he expects perfection. This is not a bad quality in my opinion as it makes accomplished, confident and above all safe drivers. I know it is a well used cliché but if I can pass my test anybody can pass, believe me! Glyn is the man for the job. Thank you so much for your time, patience and resilience with learners like me. The best driving instructor you could hope for, with a great sense of humour. 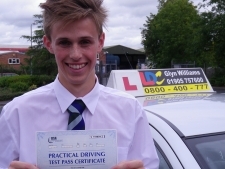 “Just passed my test – 1st attempt! 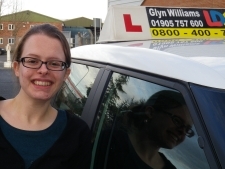 I started learning to drive with Glyn last June and despite having an equal hate and fear of the first few lessons, Glyn’s competent and calm approach to teaching helped me to slowly progress and lose my dread of going out on the road. 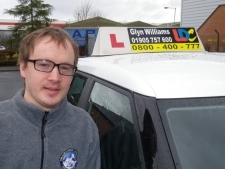 Glyn is a very good driver and an even better teacher and although at times I got very frustrated he was continually calm and reassuring all the way through my lessons. 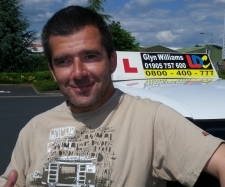 I would recommend Glyn to anyone as a driving instructor as no matter how badly you do he will never give up on you. “The LD System, Workbook & DVD’s were really good. 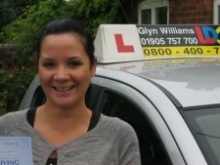 My first instructor wasn’t very reliable and I lacked confidence – but then I started with Glyn. The lessons then became really good and I learnt much more quickly. I was amazed when I passed my first test! “Just as not every native speaker can make a good teacher of his/her mother tongue, so not every highly skilled driver can make a good driving instructor. Obviously, teaching is a very complex process, especially if you deal with people of different ages, backgrounds and capabilities. 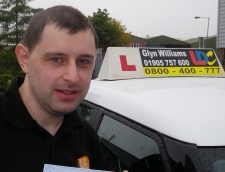 Beyond any doubt, Glyn is an excellent instructor with excellent teaching abilities. His lessons are always well planned and structured. “First appearance is always important, and with Glyn it was very good, smart and also friendly to talk to. The planning of the first lesson and the subsequent lessons were very well organised. He gave very detailed information about himself, the company and how lessons would pan out up until the exam. 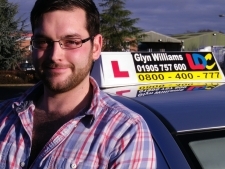 During the lessons, Glyn works with you. When he takes you out for the first time, he quickly assesses if you are a slower learner and guides you through; on the other hand if he sees that you learn quickly he will push for the two hours for each lesson. At the start of each lesson he goes through what you will do and makes sure you understand all before you set off.